After a flash forward skip week, Arrow‘s fourth episode of the season finally revisited William and Roy in the future. But first, it dealt with the fallout from last week’s episode. Oliver learned that the closest connection to Ricardo Diaz was called the Demon. Oliver’s only way to reach the Demon was by getting himself sent to “Level 2” within the prison. 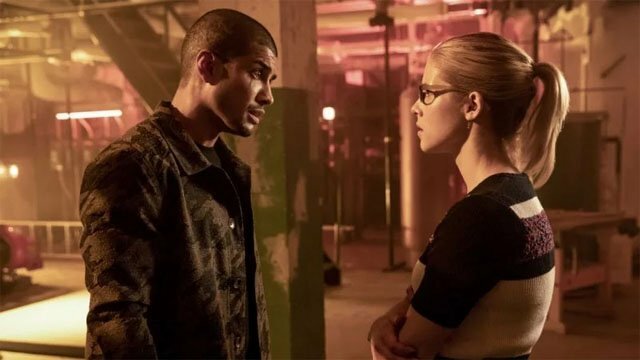 Back in Star City, the former Team Arrow failed to stop Ricardo Diaz from gaining super strength. However, they did capture the Silencer, one of the Longbow Hunters. Felicity and Rene weren’t necessarily on the same page regarding Silencer, as Felicity advocated torturing her for answers. Felicity was soon frustrated with her lack of progress and turned to an unexpected source for help. 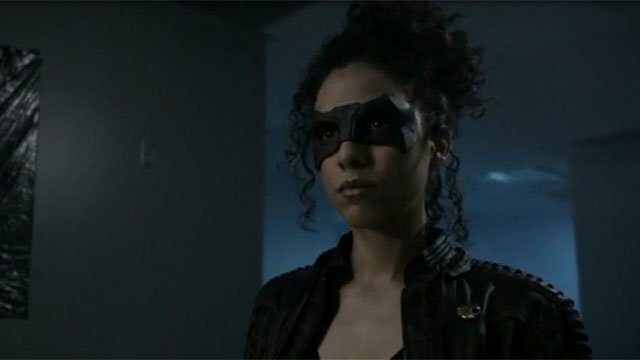 Laurel / Black Siren initially blew off Felicity’s attempt to recruit her, but she quickly joined Felicity when she learned that Silencer was her captive. Laurel tried using her powers to make Silencer break, but it didn’t work. She even talked Felicity down from taking a much darker path while sharing some hints about Felicity’s status on Earth-2. 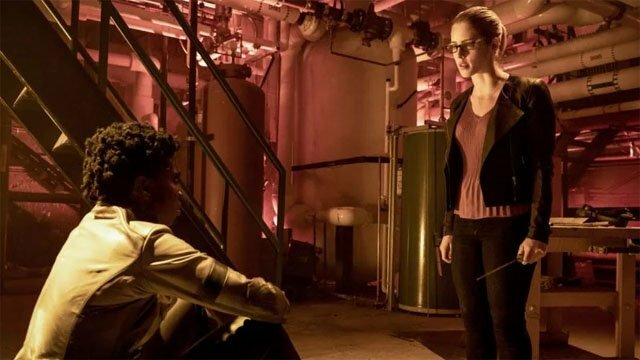 Eventually, Felicity followed Laurel’s advice and tricked Silencer into escaping with a tracking device that could lead them to Diaz. In Level 2, Oliver found himself subjected to endless mental torture without any food or water. 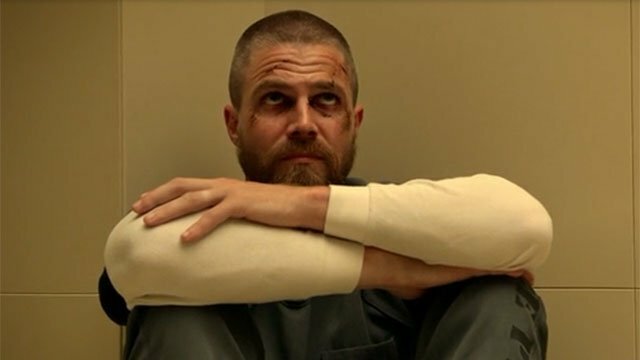 The prison’s psychologist, Dr. Jarrett Parker, used multiple techniques to make Oliver submit to their control. Parker also made Oliver question the nature of his mission by revisiting his last moments with Robert Queen. Robert murdered their bodyguard and killed himself to give Oliver a chance. Parker argued that the blood on Robert’s hands tainted Oliver’s quest from the start. As Oliver was subjected to further torture thinly disguised as therapy, he relived his goodbye with his father. Except this time, Oliver was the father and his son, William, was there with him. In that vision, Oliver still choose to kill himself to give his son the best chance for survival. Later, Oliver seemingly submitted to Parker’s will by calling himself by his inmate number. Back in Star City, a community meeting headlined by Dinah and Rene was targeted by a team of arsonists. The new Green Arrow saved Rene’s daughter, Zoe. Later, Rene felt the need to personally hunt down the men who endangered his daughter. He came face-to-face with the new Green Arrow, who shared the name of the man behind the attacks. Rene even prevented Dinah from arresting the Green Arrow, only to be arrested himself. With his only phone call, Rene contacted John Diggle, who corroborated the Green Arrow’s intel about the arsonists. Dinah relented and allowed Rene to help her bring the criminals to justice. They were soon joined by the new Green Arrow himself, who went out of his way to keep an old theater from burning down. Rene helped the injured archer to escape, with the blessing of Dinah. A few decades in the future, an older Dinah helped Roy and William escape from cops in Star City. At her safe house, Dinah explained that Star City changed when the Glades rose, and built a wall to keep the other residents out. Presumably because the rich and powerful now own and reside in the Glades. William and Roy told her that they retrieved a Rubik’s Cube from Felicity’s office, which had a hidden map of the ways into the Glades. They were soon joined by an older Zoe, Rene’s daughter, who now wore the emblem of Black Canary. She told them that she is a part of the Vigilante Resistance, and that her father wouldn’t be caught dead in Star City. As for William’s step mother, Dinah reluctantly told William that Felicity was dead. 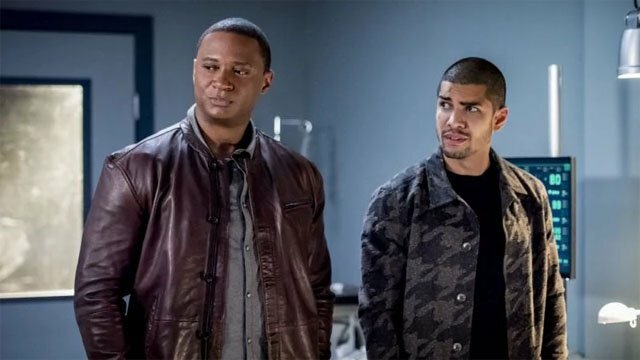 What did you think about Arrow season 7 episode 4? Let us know in the comment section below!